The following links are external links only and no file is being uploaded on our server. If any of these links violates copyright, please inform us, we will remove that link(s) immediately. 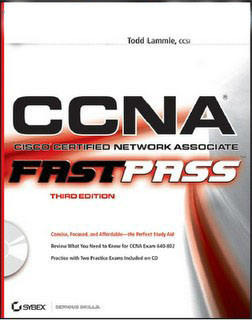 Todd Lammle is the best author for CCNA books. If you are a beginner in networking field and looking for a good book for study then it is a must read. The other two books are optional (Fast Pass & IOS commands) but they would help you to nail down the concepts. 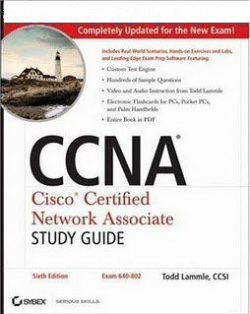 Approach the CCNA exam (640-802) with confidence through the detailed preparation you’ll receive in this bestselling study guide from leading Cisco networking authority Todd Lammle. This new edition—updated to reflect the very latest changes in the CCNA exam—features expanded coverage of key topic areas plus new material on the latest switching techniques, network address translation, IPv6, and advanced OSPF. 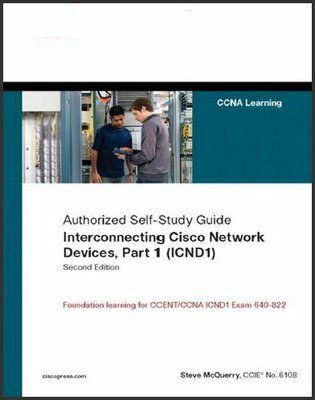 Organized by exam objectives, this is a focused, concise review guide that works hand-in-hand with any learning tool, including the Sybex CCNA: Cisco Certified Network Associate Study Guide, 6th and Deluxe editions. To become a Cisco Certified Network Associate (CCNA), you must learn the hundreds of IOS commands used by Cisco routers and switches. 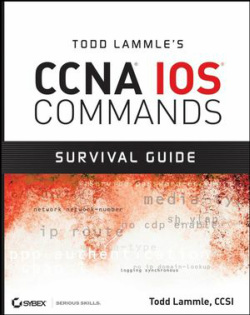 This handy reference from Cisco networking authority Todd Lammle is just what you need to master those commands. From a thorough introduction to Cisco’s basic operating system to making the transition to IPv6, Todd Lammle walks you through hundreds of commands with short, to-the-point explanations and plenty of figures and real-world examples. 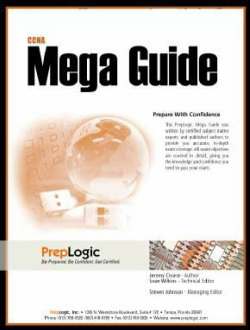 PrepLogic’s CCNA (640-802) Mega Guide contains all the information you need to know to pass Cisco’s CCNA Exam and features 27 practice questions. Topics covered by our exam guide include: Frame Relay Connections, Extending Switched Networks with VLANS, Point-to-Point Connections, Wireless LANs, IPv6 Address Format, and more. Start your preparation for Cisco’s new CCENT entry-level networking certification, your entry point into Cisco’s popular CCNA certification track. 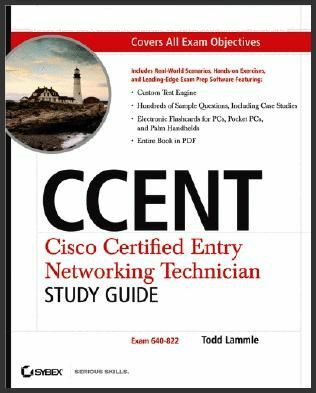 This comprehensive study guide from leading Cisco authority Todd Lammle thoroughly prepares you for the Interconnecting Cisco Networking Devices, Part 1 exam (640-822) and the start of a career, with pages of exam essentials, real-world scenarios, and hands-on exercises. Topics include the operation of data networks, how to implement both switched and routed networks, and much more. 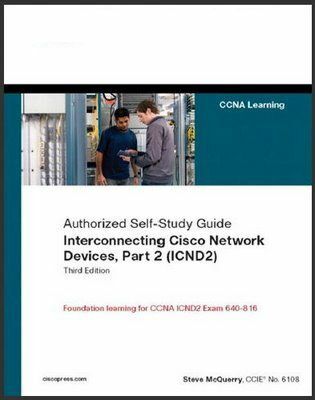 In Interconnecting Cisco Network Devices, Part 2 (ICND2), you will study actual router and switch output to aid your understanding of how to configure these devices. Many notes, tips, and cautions are also spread throughout the book. Specific topics include constructing medium-size routed and switched networks, OSPF and EIGRP implementation, access control lists (ACL), address space management, and LAN extensions into a WAN. Chapter-ending review questions illustrate and help solidify the concepts presented in the book.